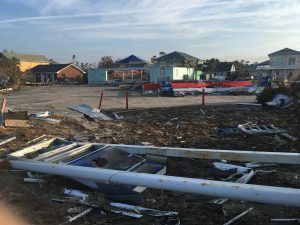 When Hurricane Michael made landfall in the Florida Panhandle in October 2018, it was packing 155-mph winds, nearly wiping Mexico Beach off the map. Retired Technical Sales Manager Mike Bentley, a resident of Port St. Joe, next to Mexico Beach, wanted to pitch in and help those affected by the record-setting storm. Mike’s home was largely spared, but the rest of his neighborhood was devastated. 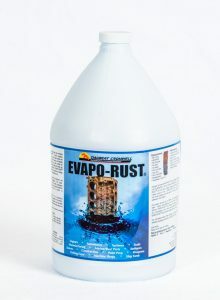 As clean-up and rebuilding continues, he is busy using Evapo-Rust® Liquid Rust Remover to help friends and families restore desperately needed metal tools. 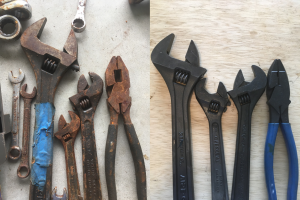 Mike has been cleaning and de-rusting the tools in batches. Mexico Beach residents are grateful for Evapo-Rust®, and Mike’s experience, to rescue the tools they need to rebuild their homes. New VCI Products Are Here! Get Same-Day Shipment of More VCI Packaging Products with Quick Ship! We restocked our Quick Ship online store with more of your most-requested VCI papers, film, liquids and emitters. Items are in stock and ready to ship. Need it fast? Order online before 12:00 noon CST for same day shipment. Orders received after 12:00 pm ship next day. These Items and More Now Available for Next Day Shipment. 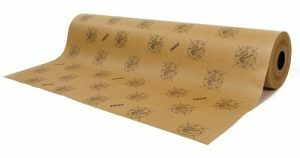 Full line of VCI Corrosion Inhibitor Papers in SHEETS and ROLLS for protecting all types of metals: Silver, Copper, Ferrous, and Multi-Metals. NEW! 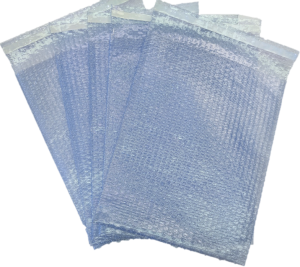 Corrosion inhibitor bubble bags combine proven Premium Metal-Guard® VCI protection for multi-metal surfaces with the cushioning properties of bubble film. 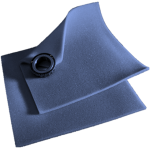 Now available in soft, flexible, open cell foam providing both physical and VCI protection to packaged parts. 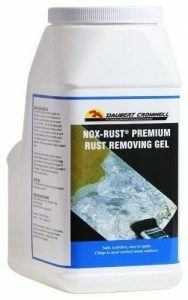 Water-based, fast-acting, brush-on rust removing gel that safely and effectively removes light rust from metal surfaces.